With “Andy Warhol—From A to B and Back Again,” the blockbuster retrospective running at the Whitney Museum of American Art through March 31, 2019, it seems timely and possibly even fun, to dig back into the Prince of Pop’s media-tinted past. 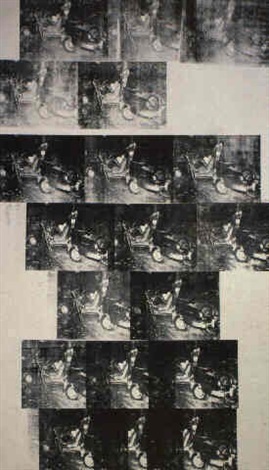 Two months after Warhol’s death in May 1987, a massive masterpiece from his Death and Disaster series, “White Car Crash 19 Times” from 1963 sold to Swiss dealer and Warhol champion Thomas Ammann for a record $660,000. 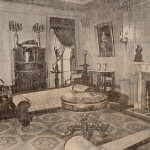 Starting in April 1988, Warhol’s mega, sixteen day marathon single owner sale at Sotheby’s New York, including the contents of his East 66th Street townhouse and numbering more than 10,000 items, reaped $23 million and leapt past pre-sale expectations of $10-15 million. In 1990, at the height of that bygone era’s art market boom, Ammann sold the painting to a private Japanese buyer for for $3.8 million and that’s where the provenance trail grows cold. In the midst of these art market gyrations, the battle over Warhol’s estate and legacy whipsawed between dueling experts in New York courtrooms over the value of his work and how it would be distributed. 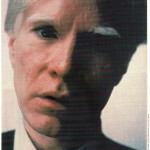 Apart from some modest distributions to his surviving brothers, Warhol willed the entirety of his cash and art rich estate to benefit a foundation “for the advancement of the visual arts” and later named in eponymous fashion, The Andy Warhol Foundation for the Visual Arts. Out of that litigious chaos came the creation of the Andy Warhol Museum in Pittsburgh and a foundation that recorded assets of $30 million in 1990: and which grew to over $110 million by the end of that decade. As those headlines and controversies faded, Warhol’s market continued to grow, reaching a record $105.4 million in November 2013 when “Silver car crash (Double disaster)” from 1963 at Sotheby’s New York. 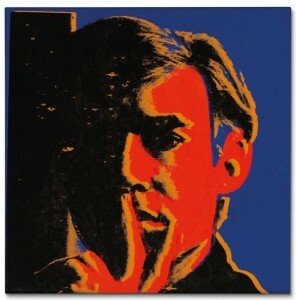 Eight other Warhol paintings have fetched over $50 million at auction between 2007 and 2017. That sure marks a long way from that first posthumous auction record of $660,000. This entry was posted in Blog and tagged Andy Warhol, Andy Warhol Foundation, The Warhol Foundation, Thomas Ammann, Warhol, Warhol Estate. Bookmark the permalink.